How do we ensure Newmarket continues to be the best place to live and work in Canada? It starts with Awesome ideas. 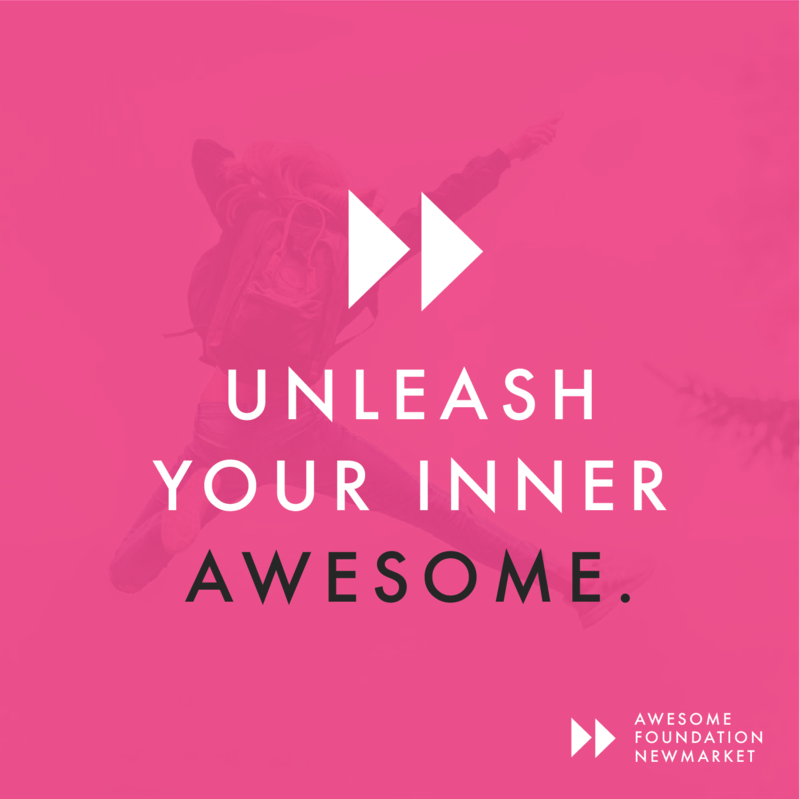 Enter the Awesome Foundation Newmarket, a group that provides monthly hassle-free micro grants to help bring those ideas to life. Rather than a charity, the Awesome Foundation is like a giving circle. Ten trustees give $100 of their own money each month to help an individual or group implement a great idea that helps people locally. At the Awesome Foundation Newmarket, we focus on ideas that benefit youth in Newmarket. Congratulations to our latest grant recipient! Project Autism – York Region has recently launched the Move program, a weekly Newmarket-based program for kids with autism designed to get them moving. The organization has also launched a once-a-month group for girls—an initiative, says Anne, that is much needed. “It’s so important for girls on the spectrum to find other girls like themselves and learn that they are not alone.” Each month, the group will feature a different activity that participants can take part in while socializing and enjoying a sense of community. Project Autism’s groups are completely free and there are no barriers for anyone to participate. “Our programs are geared towards those on the autism spectrum but are open to any special needs children regardless of diagnosis.” Congratulations Project Autism! 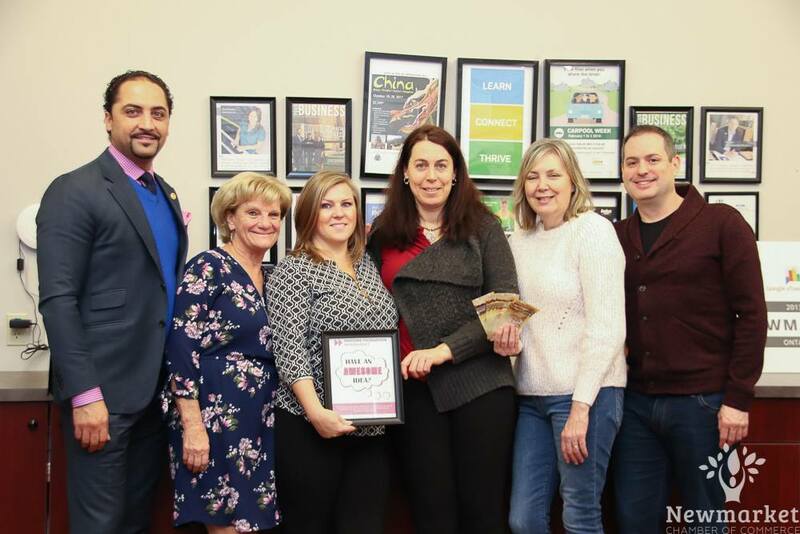 Left to right: Awesome trustees Wasim Jarrah, Tracy Macgregor Walter, Jackie Playter with Anne Mason, and trustees Diane Farmer and Hollie Hoadley. 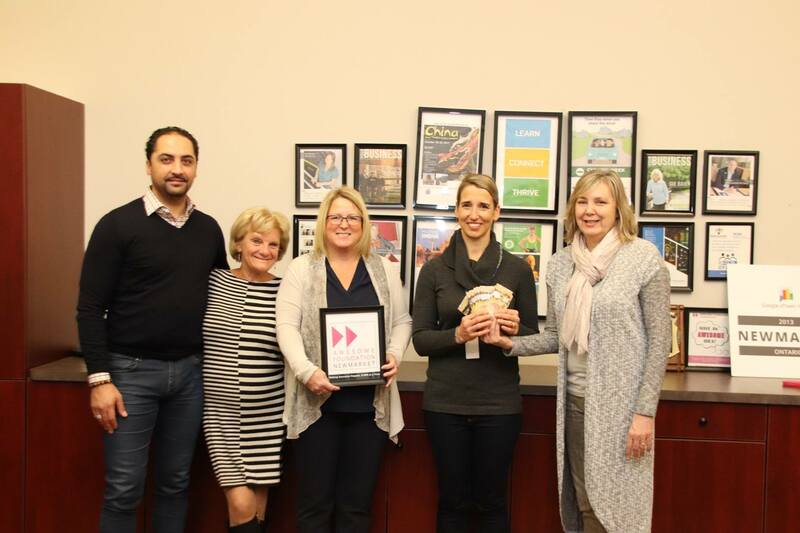 L to R: Awesome trustees Wasim Jarrah, Jackie Playter and Hollie Hoadley with recipient Cynthia Crone and trustees Diane Farmer and David Faingold. Newmarket grant. Amanda is a grade two teacher at Phoebe Gilman P.S. and the Chair of its Outdoor Classroom Committee. The committee, she says, is in the process of creating an all-seasons outdoor classroom and the Awesome grant will be used to help with the purchase of materials to facilitate learning activities. “Our staff, as well as the YRDSB, see how students benefit from outdoor learning experiences on a regular basis. We have a large school population and expanding our outdoor learning material collection will allow for more staff to take their classes outside.” Besides incorporating the curriculum in a fun and engaging way, the hands-on learning encourages student leadership and collaboration. Congratulations!